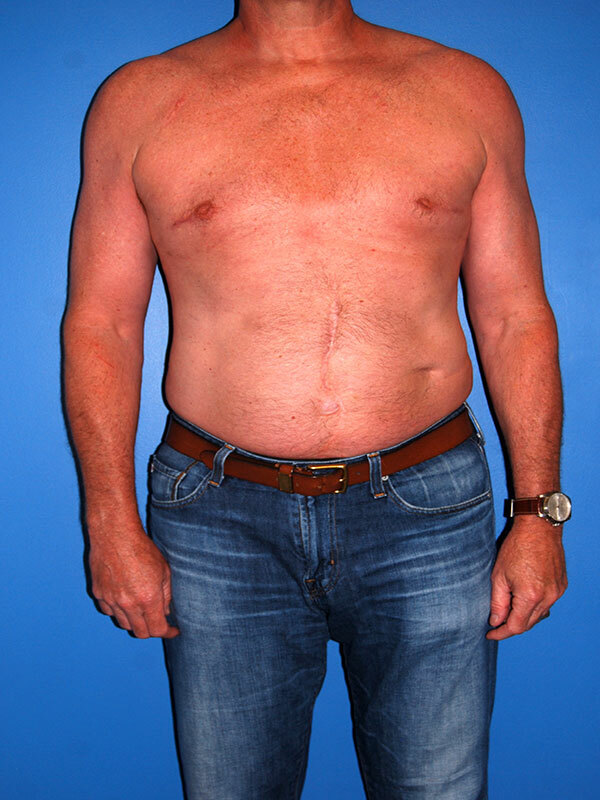 47 year old with lifelong gynecomastia. 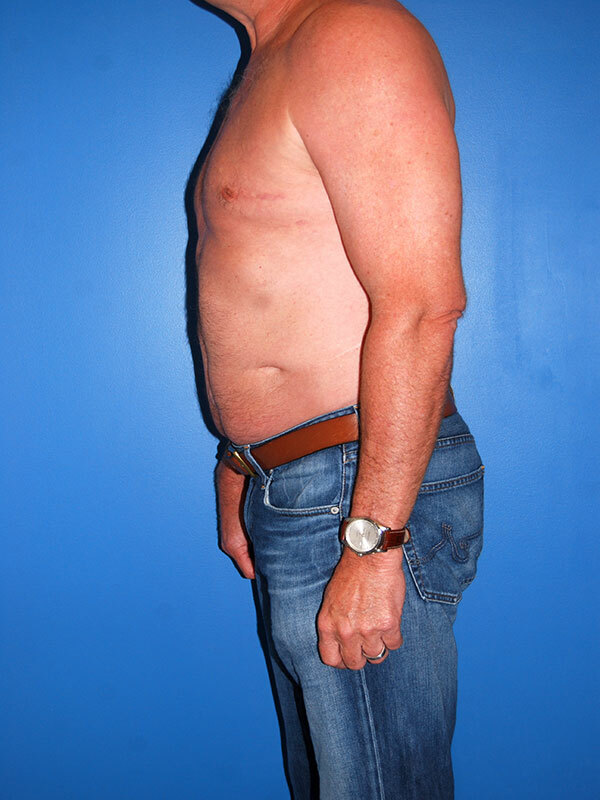 He is desiring a flatter, more contoured chest. 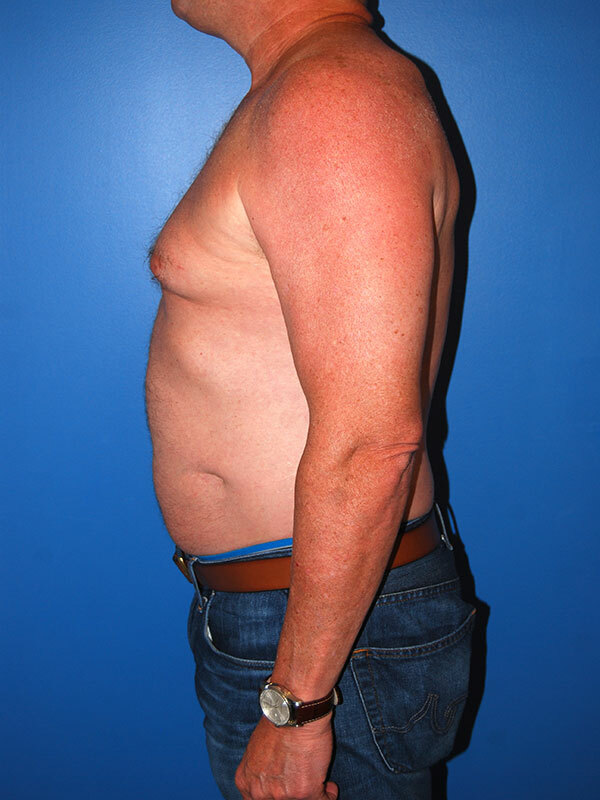 Correction of the gynecomastia was performed with an extended inframammary incision and liposuction of the chest wall. 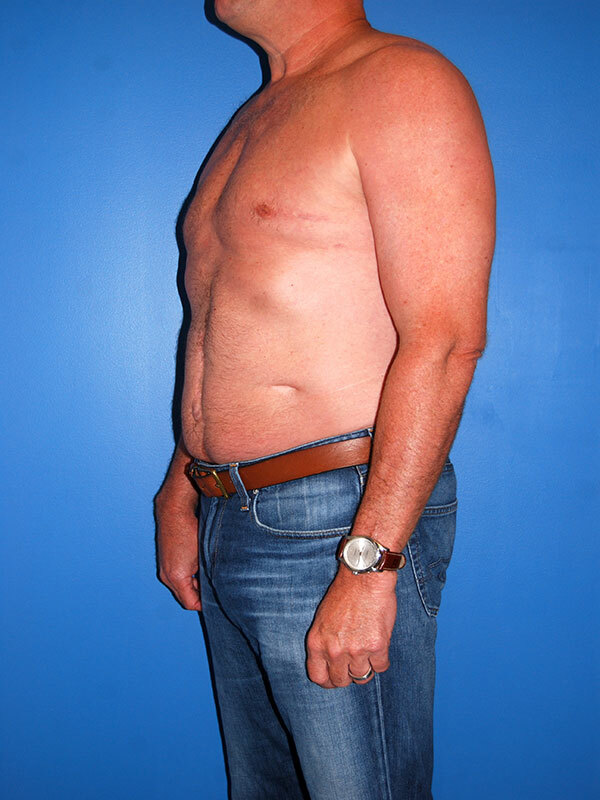 He is shown 6 months after surgery and is very pleased with his results.